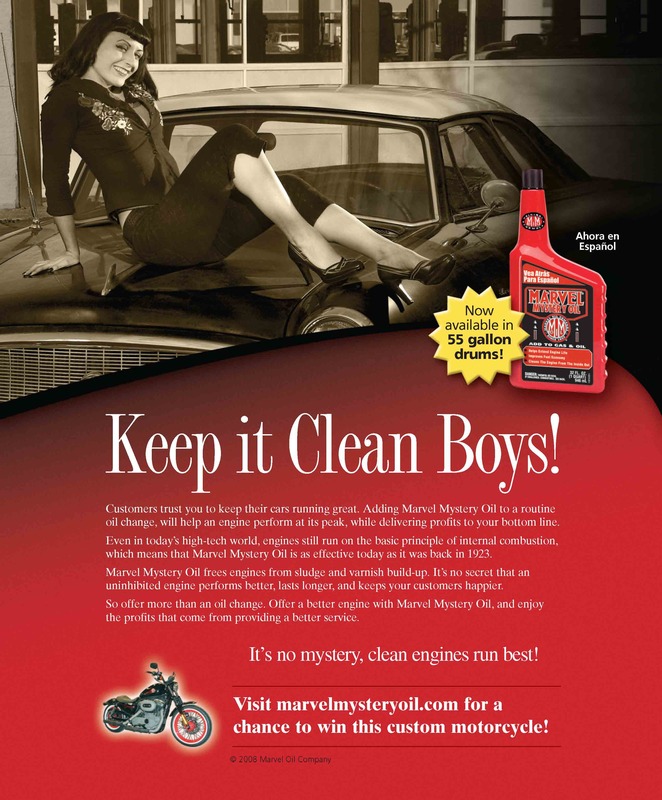 In business since 1923, Marvel Mystery Oil, owned by Turtle Wax, came to Cliff’s Edge to rebuild the brand. 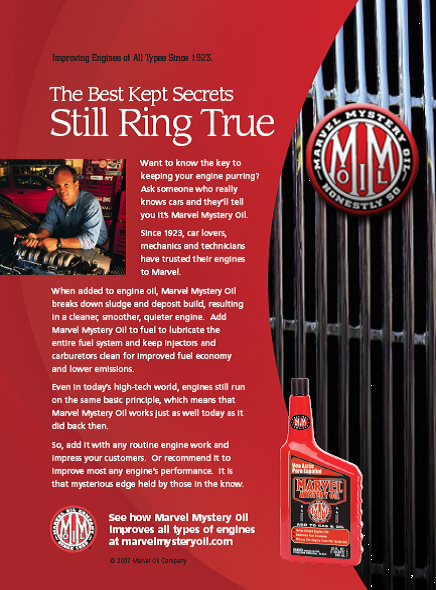 The product has been available for generations, but became lost when STP and now Lucas Oil became the powerhouses of the engine additive market. Cliff’s Edge created a straightforward campaign that promotes the handing of wisdom from one generation of car care professional to the next. The campaign includes trade journal advertising, point of purchase promotions, and a sweepstakes.